A leading university has suspended recruitment to its undergraduate learning disability (LD) nursing courses at two centres due to a continued 'year-on-year decline' in applicants. 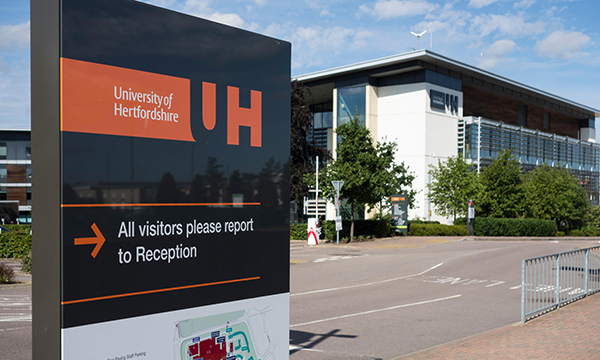 The University of Hertfordshire, which has been one of the largest providers of undergraduate learning disability nursing courses, will be suspending recruitment to its Thames Valley and Southampton centres for this year. A letter to the university’s practice partners, written by the head of the university’s department for nursing Liz Gormley-Fleming, says they have ‘no desire to destabilise the workforce’ in the region and did not take the decision lightly. The letter, seen by Learning Disability Practice, adds that the university has worked hard with its providers and with support from Health Education England (HEE) to deliver extensive marketing campaigns in both geographical areas in an attempt to secure applicants. Ms Gormley-Fleming explains that the decline in numbers has already been raised by the university as a concern. ‘The University of Hertfordshire has continued to make representation at a national level regarding our concerns for the vulnerability of this essential field of practice,' she writes. Responding to the news, RCN professional lead for learning disabilities Ann Norman said: ‘Sadly, this is not an isolated example – London's South Bank had already closed its course. ‘Learning disability courses have been the worst hit by the student funding changes this year, displaying disproportionate under-recruitment. The RCN's recent report on training shows that six in ten learning disability courses are under-recruited. The university will continue to deliver pre-registration LD nursing from its campus site in Hatfield as a direct entry route along with the field as a nursing degree apprenticeship. It will also continue to deliver continuing professional development as required in 2017-18 and 2018-19 ‘subject to viable cohorts’. In January, the Commons health and social care committee published its inquiry into the nursing workforce. The MPs highlighted HEE figures which showed across LD nursing there was a vacancy rate of 16.3%, the highest of all the specialties. LD nursing has seen one of the biggest fall in numbers working among all the nursing fields, down by 38%, the equivalent of more than 2,000 nurses, since 2010. University of Hertfordshire dean of the school of health and social work dean Jackie Kelly, who is an LD nurse, said the university remains committed to supporting LD nursing. ‘The profession is not as visible as other fields of nursing and we have long championed the need for a national campaign to inform people about the career pathways in this and indeed other nursing, midwifery and allied health professions. ‘Learning disability nursing is a field of practice that tends to attract a higher proportion of mature students and initial indicators on the effect of the new funding arrangements for nursing and allied health programmes show a more immediate and significant impact on these more mature applicants, who are potentially more averse to taking out a student loan. HEE has previously maintained there are plans in place to help the learning disability sector and says, together with Skills for Health and Skills for Care, it is working with the local transforming care partnerships to ensure the creation of a sustainable workforce as care is moved away from hospitals and into the community.